Do you want to Convert Windows .Contact to CSV or Vcard (VCF)? 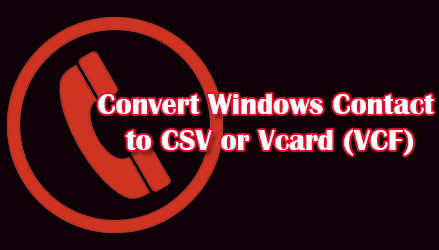 Are you looking around on How to Convert Windows Contact to CSV or Vcard (VCF) than by reading this guide you will easily able to convert .contact file format to CSV or Vcard (VCF). .Contact File is a contact database file in which email id, name, mobile number, address etc. is stored. But when you want to move those .contact files to other device it becomes difficult as some of the devices becomes unable to recognize the contact file format as they can only recognize file formats like CSV or Vcard (VCF) so at this time if you want to convert .contact file to CSV or Vcard (VCF) we have solution for you to easily convert all those .contact files to CSV or Vcard (VCF). To Convert Windows .Contact to CSV or Vcard (VCF) there is no need of any third party software, you will only need Windows 7, Windows 8, or Windows 8.1, below steps will explain to you how to convert windows contact to CSV or Vcard (VCF). 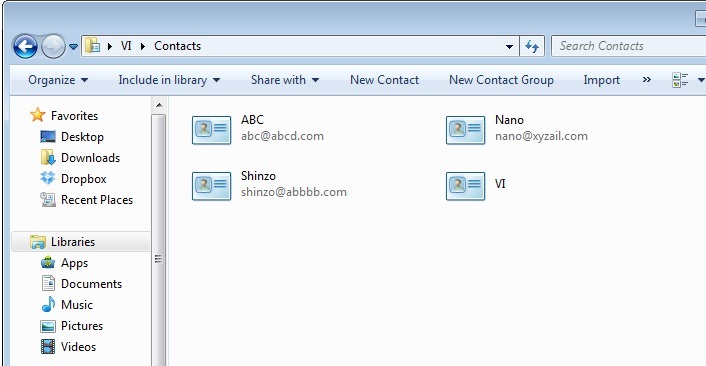 Open Contacts Folder which you will find the logged in user folder. 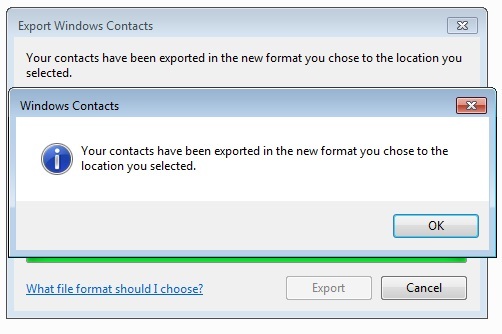 Select All Contacts from the contacts folder and on top you will find export button click on export button. Select the file format which you want to save from option file formats CSV or vCards (VCF) and click on export. And then select the location where you want to save the output file that is converted files. You have successfully finished converting Windows Contact to CSV or Vcard (VCF) it’s that simple. This was just an inbuilt feature in Windows 7, Windows 8, and Windows 8.1 which allows to convert .contact to VCF or CSV file formats, which you was unaware about.